After playing the role of Maharawal Ratan Singh in the flick Padmaavat, Shahid Kapoor has now geared up for his upcoming release Batti Gul Meter Chalu. The star unveiled a new poster of the film which features Shahid Kapoor having fun on a ferris wheel. The film is helmed by Shree Narayan Singh and is based on the electricity menace that is prevalent in Delhi and its misuse. Shahid’s character will be seen fighting about the issue in the film. Batti Gul Meter Chalu also stars Yami Gautam and Shraddha Kapoor. Shahid posted the poster and wrote, “Feeling top of the world! Kal se trailer chalu. 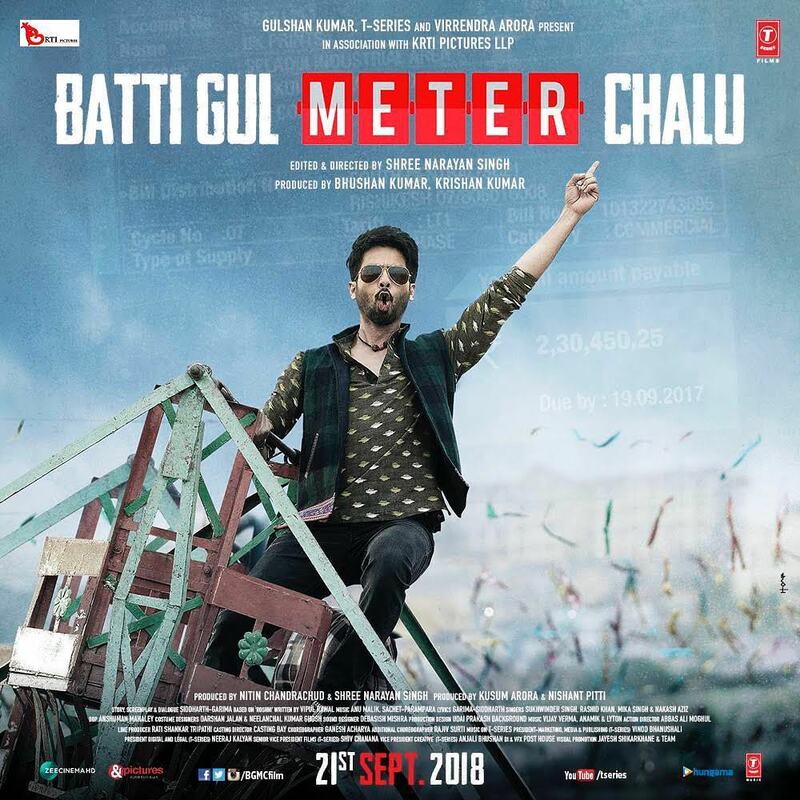 #BattiGulMeterChalu @ShraddhaKapoor #divyenndusharma @yamigautam @TSeries @bgmcfilm #BhushanKumar @ShreeNSingh @KuttiKalam.” The colors and the feel of the poster looks great and the audience cannot wait to catch the trailer. After an intense role in Padmaavat, it will be a refreshing change for the audience to see Shahid in a fresh character. The film has been in news in recent times for its delays and changes in the release dates. But the flick is finally ready to be released on September 21, 2018. After the release of Batti Gul Meter Chalu, Shahid will be turning his attention towards the Hindi remake of Arjun Reddy opposite Tara Sutaria. Previous articleManmarziyaan official trailer out now!